The Direct Rental Service delivers standard portable restrooms satisfies customer sanitary needs. Recognized as a high quality standard portable restroom rental. Direct rental service is committed to provide high quality customer service and aim for customer satisfaction. Both for commercial and residential purposes, standard portable restrooms are supplied. 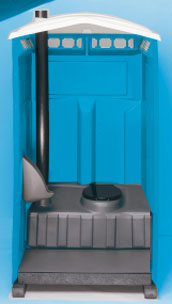 Direct rental service is an economical standard portable restroom solution. Is impeccable for construction purposes, outdoor reunions and other outdoor parties. Satisfies every party needs, especially low and middle budget parties. With more than 50 locations across the U.S.A our portable restroom rentals are supplied. Our standard portable restroom is sterilized enclosed cabin with a lockable door with a facility to lock from inside. 44' width, 48' depth, and 88' high in measurements and manufactured with injection molded plastic. Seat covers, paper towels, toilet papers and dispensed soaps are provided with in restrooms.